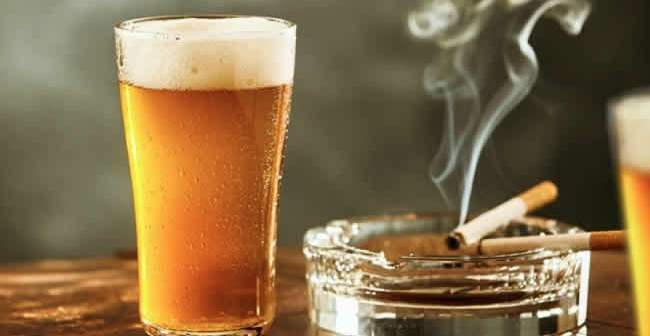 Nigerians to pay more for cigarettes, alcohol – Royal Times of Nigeria. The recently approved excise duty for alcoholic beverages and tobacco will take effect on Monday, June 4. The Minister of Finance, Mrs. Kemi Adeosun, disclosed this in Abuja on Sunday. She explained that the new excise duty rates were spread over a three-year period from 2018 to 2020 in order to moderate the impact on prices of the products. The minister had stated in March that the President had granted a grace period of 90 days to all manufacturers before the commencement of the new excise duty regime in that sector of the economy. The grace period ended on Sunday. Adeosun stated that the new excise duty regime followed all-inclusive stakeholder engagements by the Tariff Technical Committee of the Federal Ministry of Finance with key industry stakeholders. She noted that the upward review of the excise duty rates for alcoholic beverages and tobacco was to achieve a dual benefit of raising the government’s fiscal revenues and reducing the health hazards associated with tobacco-related diseases and alcohol abuse. A statement from her ministry had said: “The Tariff Technical Committee (TCC) recommended the slight adjustment in the excise duty charges after cautious considerations of the government’s fiscal policy measures for 2018 and the reports of the World Bank and the International Monetary Fund Technical Assistance Mission on Nigeria’s fiscal policy. The minister had said under the new rates for tobacco, in addition to the 20 percent ad-valorem rate, each stick of cigarette will attract one naira specific rate. She said by 2019, tobacco will attract two naira specific rate per stick while it will attract N2.90 kobo specific rate per stick by 2020. Under the review, beer and stout will attract 0.30k per centilitre (Cl) in 2018 and 0.35k per Cl each in 2019 and 2020. Wines will attract N1.25k per Cl in 2018 and N1.50k per Cl each in 2019 and 2020; while N1.50k per Cl was approved for spirits in 2018, N1.75k per Cl in 2019 and N2 per Cl in 2020.